The record is made up of 1 map. It was created in 30 Jul 1940. It was written in Arabic. The original is part of the British Library: India Office The department of the British Government to which the Government of India reported between 1858 and 1947. The successor to the Court of Directors. Records and Private Papers. ‘Batliboi Litho Works, Bombay 8’. 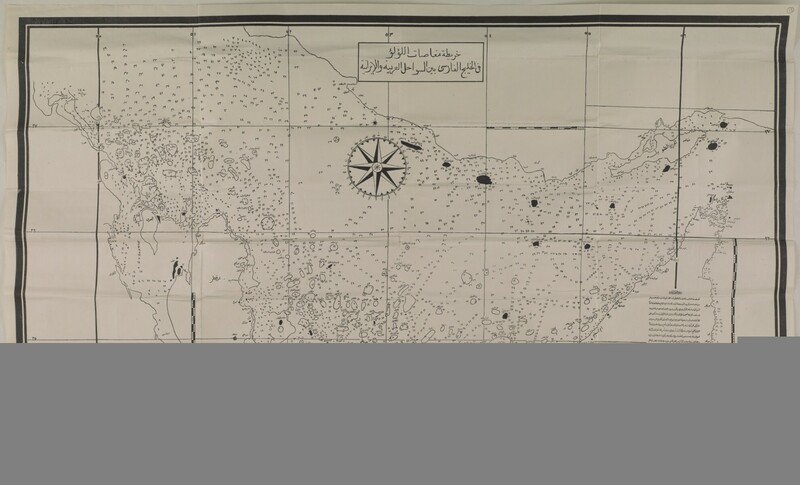 Pearl banks indicated by Arabic numerals, the names of topographic features including settlements, islands and pearl beds inserted in Arabic. In the lower right-hand corner of the sheet a descriptive note from the author, this starts and ends with prayers. 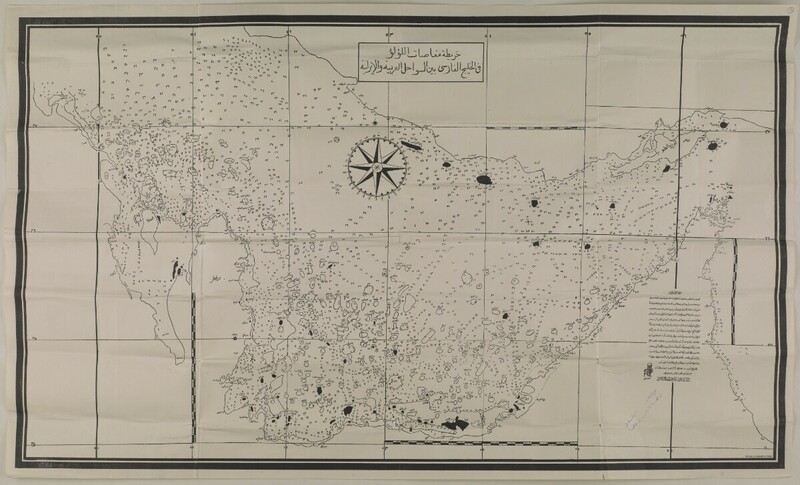 It includes explanation to the surveying methods and reasons for creating the map, as well as the author’s approval and stamp with his name (Shaykh Mafi’ ibn al-Shaykh Rashid al-Maktum), the date: 24 Jumada II 1359 AH, and a note ‘all right reserved’. Stamp in purple ink which states in Arabic that the map is not to be translated to any other language without author’s permission.